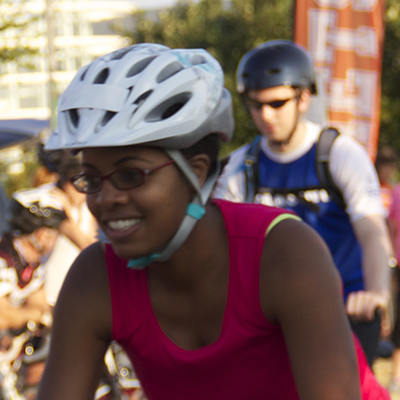 The University of Texas at Dallas is committed to being a bicycle-friendly campus. Ride as close as practicable to the right curb. Keep at least one hand on your handle bars at all times. Give an audible warning when passing pedestrians or other cyclists. Have a white light in front and red reflector or light in the rear of the bike for night riding. Ride two abreast, but form a single line in congested traffic conditions. Please refer to the Texas Drivers’ Handbook (PDF [Portable Document Format File] ) for more information on safe and lawful biking. If you are living in University Housing and would like to park your bicycle at the racks near where you live, it must be registered. You can register your bike any time, at either the University Village information center, or at any University Commons front desk. Unregistered bicycles at University Housing will be removed and impounded. 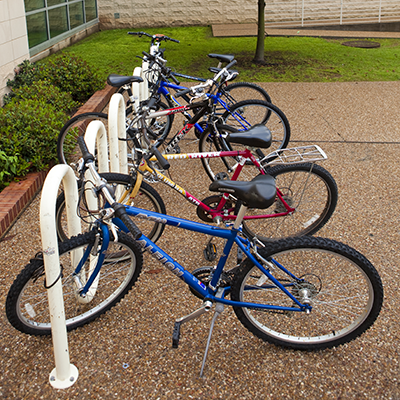 Bicycle racks are located near every University building, including the University Commons residence halls and University Village apartments, though not always at the main/front entrance. Protect your bicycle from theft by securing it to a bike rack with a good cable lock. Please do not secure your bike to trees, shrubs, plants, stairways, walkways, handrails, light posts, or sign posts. Bicycles left in hallways, breezeways, or stairways, or those blocking public access or exits, will be removed and impounded. 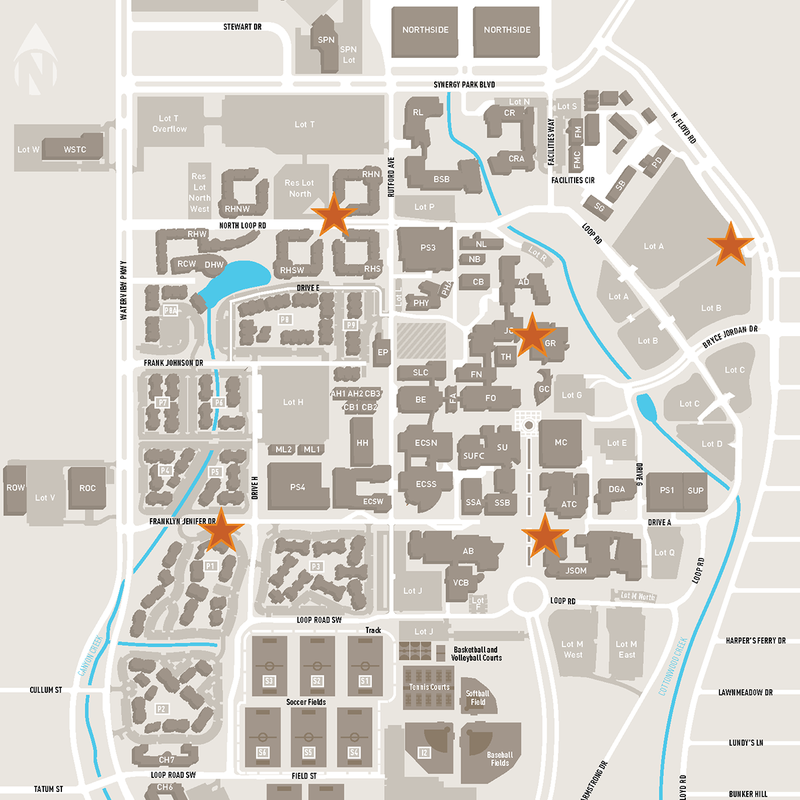 Bikes left unattended on University property for a period of 48 hours or more, in a state of disrepair or in a condition that prevents normal or safe riding, may be impounded by the UT Dallas Police Department. VBikes are available for renting at $1 per hour. Get started by downloading the free VBikes app (available on Apple® and Android™) to find an available bike near you. Motorized scooters or motorized personal transportation devices are prohibited from being driven on University sidewalks, streets, parking lots or parking structures unless authorized by the Office of Student AccessAbility or Office of Human Resources as a reasonable accommodation required by the Americans with Disabilities Act or other federal law. Motorized scooters or motorized personal transportation devices are wheeled devices designed for transporting one person with a deck designed to allow a person to stand or sit, and is propelled by an electric or gas motor. Motor-assisted bicycles are not included in this policy.